Around 1PM today, we received a call for a possible structure fire. 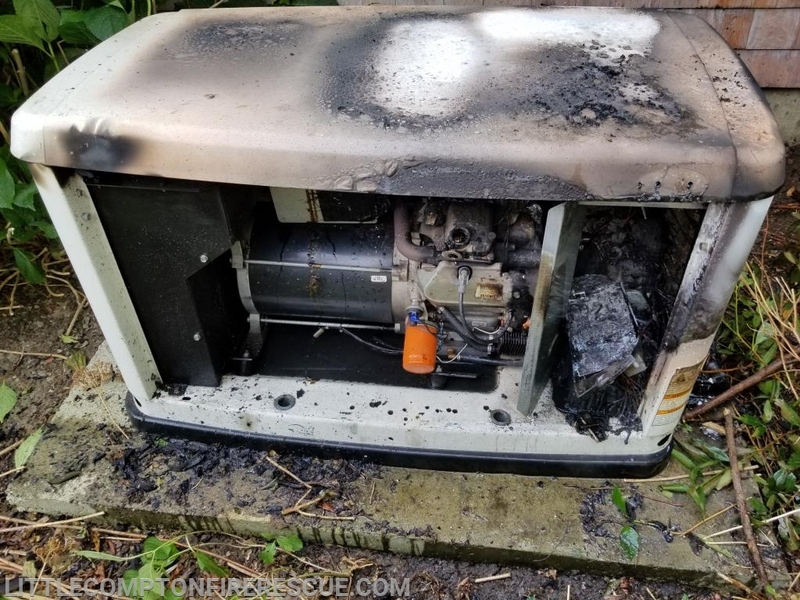 Upon Arrival the crew quickly extinguished the propane fueled whole home generator. 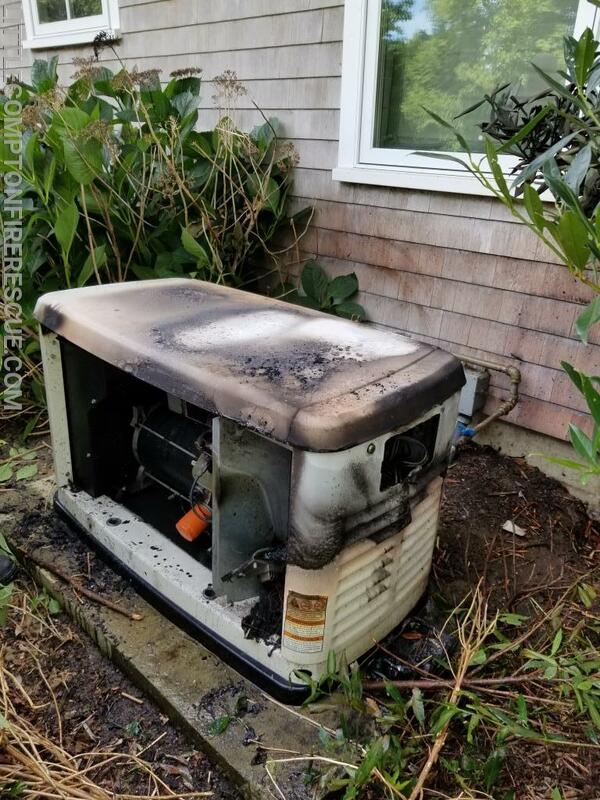 Damage was limited to the generator. No one was home at the time, the call came in though a landscaper cutting a neighbors lawn. 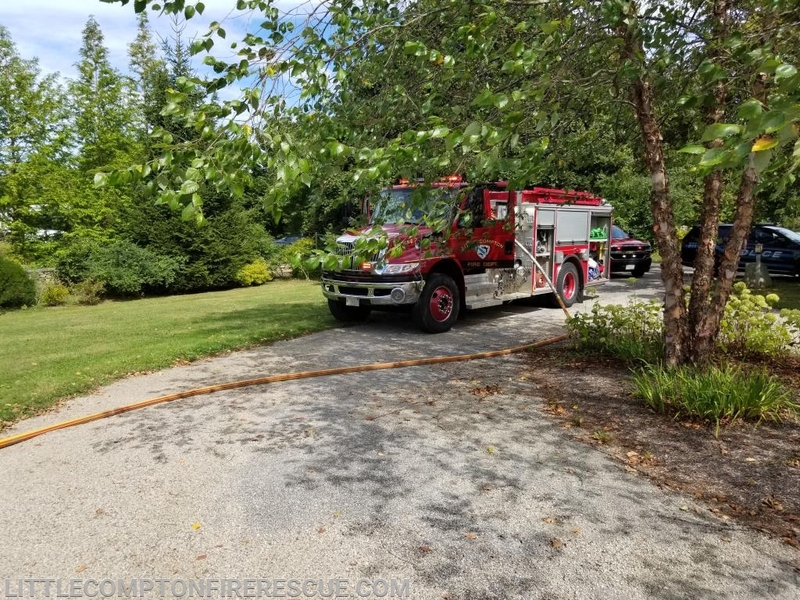 The quick response by the crew, and call from the landscaper, saved this home.